Pancake Day is the day before Ash Wednesday and the start of Lent. 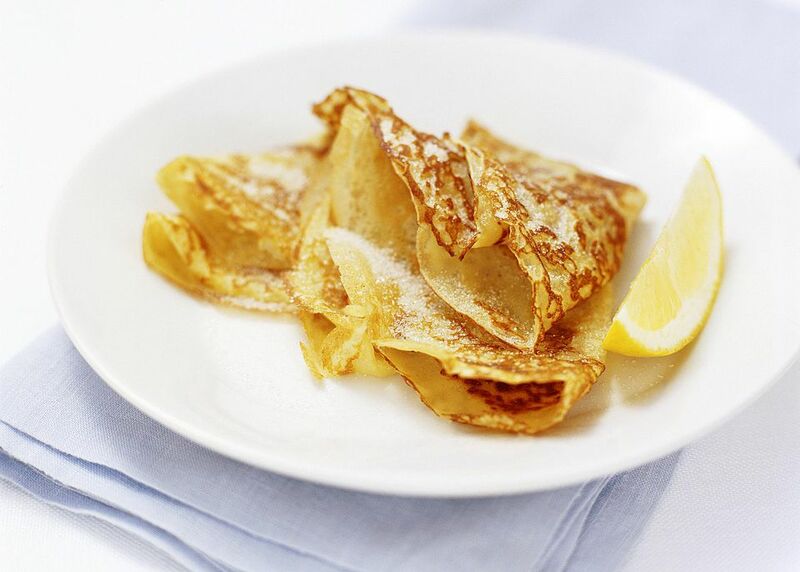 It is also traditionally the day for eating pancakes, have you ever wondered why? Pancake Day is also known as Shrove Tuesday or Pancake Tuesday. All three are the same, on the same day but with three different names. As the day falls on the eve of the start of lent, it was a day to use up any stocks of food forbidden during this time, namely milk, butter, eggs all the accompaniments (jam and syrup being the most popular). The 'Shrove' - as in Shrove Tuesday - stems from an old English word 'shrive', meaning to 'confess all sins', so again linked to the upcoming religious period of Lent. The earliest records of eating pancakes and the famous British pancake tossing appeared in the fifteenth century when the pancakes were a little thicker than the current-day pancakes; they would also often have added spices for decadence and making them very much of their time as spices were used in all manner of foods. It wasn’t until the eighteenth century and the influence of French cooking and their thin crepes that pancakes more as we know them now. They became lighter and thinner and had changed very little since then. Today the customs are far simpler than in times gone by, with the quirkiest custom being the custom of Pancake Races whilst tossing a pancake in the air from a frying pan. Harmless, good fun. ‘Shroving’ was a custom in which children sang or recited poetry in exchange for food or money. ‘Lent Crocking’ was one of the many customs of the day when children would pass from house to house asking for pancakes and if receiving none, threw broken pottery at the door! Other customs and superstitions included the belief that the first three pancakes cooked were sacred. Each would be marked with a cross, then sprinkled with salt to ward off evil spirits, then set aside. In Ireland, Irish girls were given an afternoon off to make their batter, and the eldest, unmarried girl would toss the first pancake. Success meant she would marry within the year. In Scotland, special oatcakes called Bannocks were made using oatmeal, eggs and salt and griddle cooked with a charm added to the dough. On eating, if an unmarried person found it, it was believed they, would marry within the year. Wales also had their own customs where people would pass from door to door begging for flour, lard or butter. In some parts of Wales children would kick tin cans up and down the streets, believed to commemorate the putting away the pots and pans for Lent. In other parts of the world, Shrove Tuesday is celebrated differently with the Mardi Gras carnival in New Orleans, and an equally raucous one in Rio de Janeiro. Why Is Friday Traditionally Fish Night?